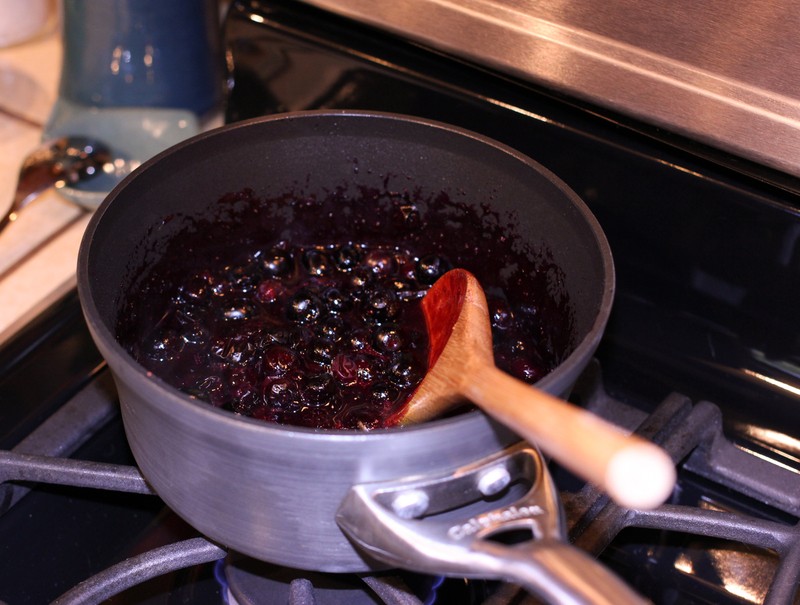 It must be blueberry season. They’ve been abundant at the grocery store and I can’t stop buying them. 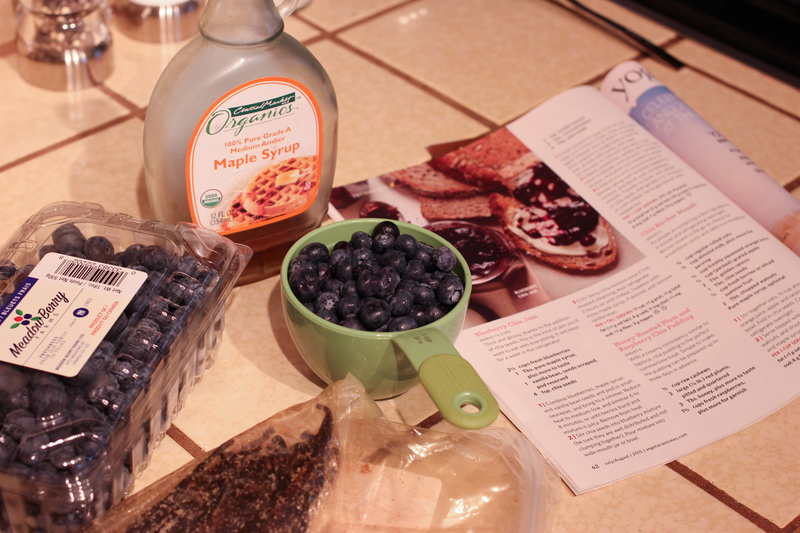 I can only eat so many with breakfast and my summer Vegetarian Times magazine had a collection of blueberry recipes. 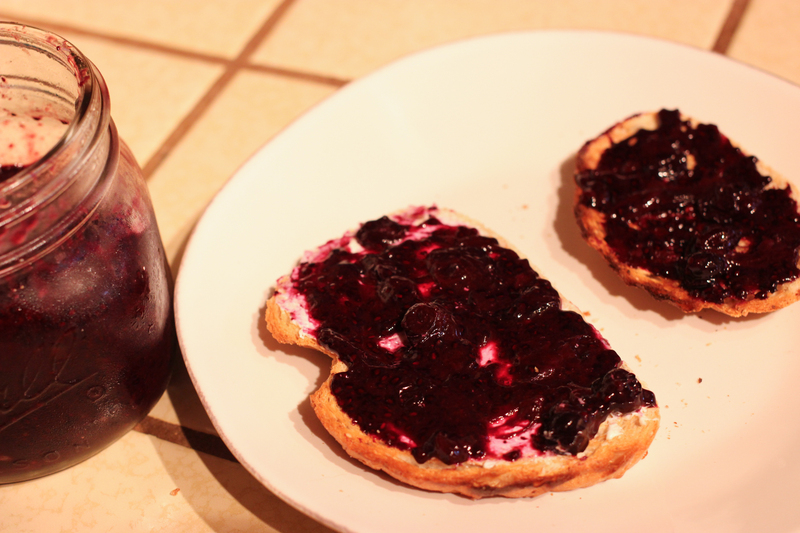 I made the blueberry chia jam – it’s a refrigerator jam with only minimal sugar so it’s much healthier than store bought jam. I followed the recipe and didn’t add any extra maple syrup after it cooled. 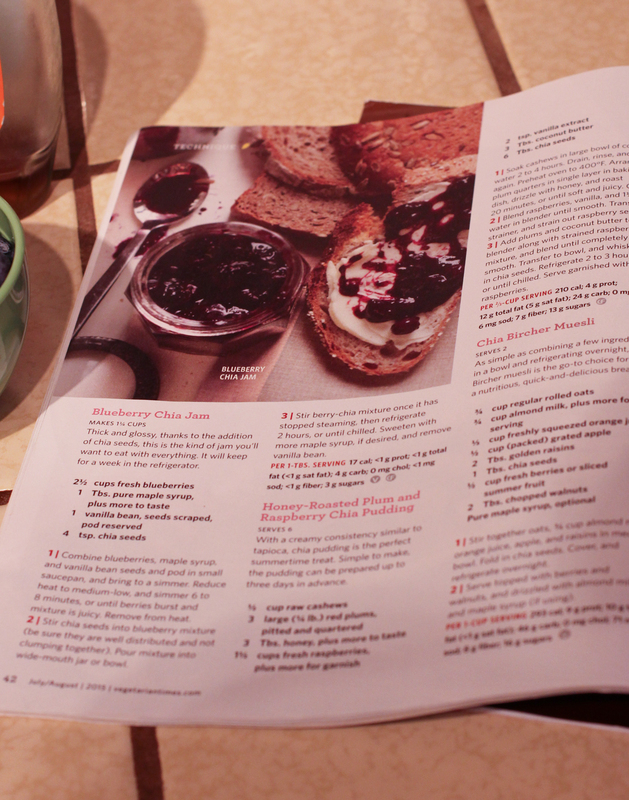 If I make this again, I’ll probably use our vast supply of honey to sweeten the jam. 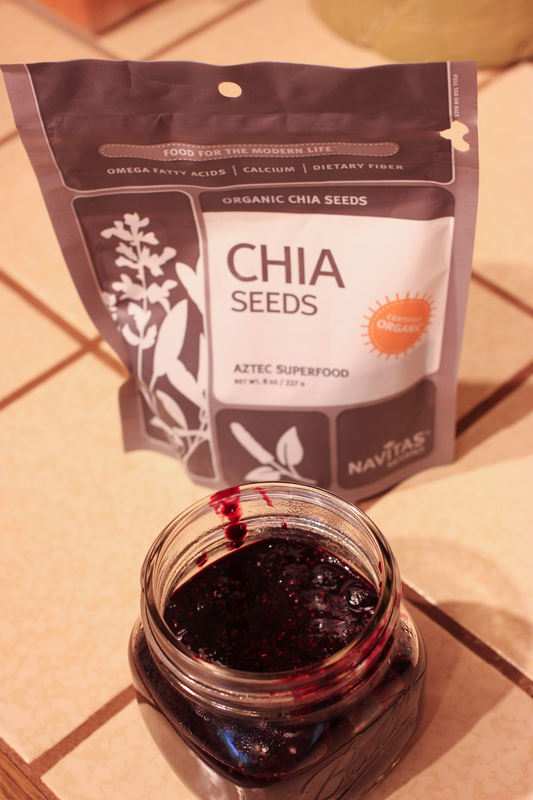 This was my first experience cooking with chia seeds. They thickened the jam, but are soft and you can’t even tell that you’re eating them. It was great on toast, either plain or over some cream cheese. 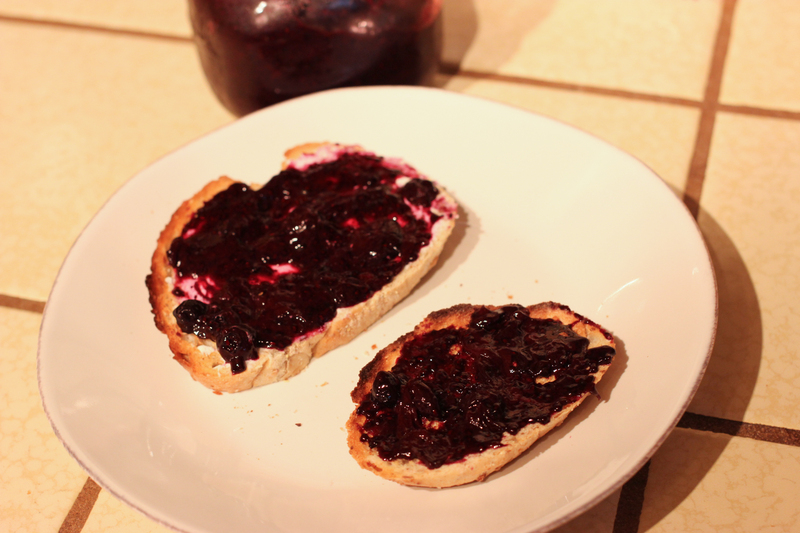 I also drizzled some extra honey over the jam sometimes when I wanted it to be sweeter. I’d definitely make this recipe again. ← Bike training August 8 & 9: Is summer over yet?